The Oxnard Chamber of Commerce considers advocacy for its membership a top priority. 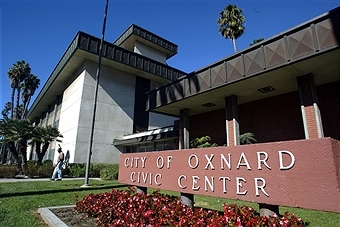 The Oxnard City Council consists of an elected Mayor holding a two-year term and four council members elected at large for four-year overlapping terms. After each election the Mayor appoints one of the council members to serve as Mayor Pro Tem to preside over City Council functions in the Mayor's absence. The City Council governs the City in a manner that promotes a sound financial base, and responds to the current and future needs and concerns of City residents and businesses. To accomplish this, the Council appoints the City Manager and City Attorney, enacts City ordinances, establishes policy for administrative staff, and approves and oversees the budget of expenditures for the City. The Council also serves as the board of the City of Oxnard Financing Authority (COFA), the City’s Community Development Commission Successor Agency, and, supplemented by two Tenant Commissioners, serves as the City’s Housing Authority. Regular City Council meetings are held on Tuesday at 6:00 PM at the Council Chamber, 305 W. 3rd Street. The County of Ventura is divided into five districts. Oxnard, the largest city in Ventura County is represented by three of the five County Supervisors.